Houston pop punks Waterparks are in Los Angeles recording their debut full-length with Benji Madden (Good Charlotte, 5 Seconds of Summer) and Courtney Ballard (5 Seconds of Summer, All Time Low). Madden and Ballard also produced the band's latest EP, Cluster. The new album is expected to be released in late 2016. Over the past year, the band, who signed to Equal Vision Records, partnered with MDDN co., released a new EP and embarked on their first ever full US tour supporting Never Shout Never. They also premiered their live music video today for “Capes” on AltPress.com. 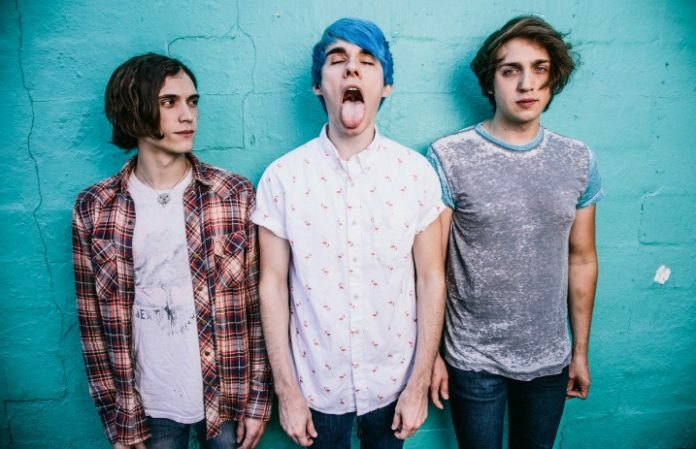 You can catch Waterparks this summer on Warped Tour. Buy AP's annual Warped Tour Special issue featuring Waterparks now!